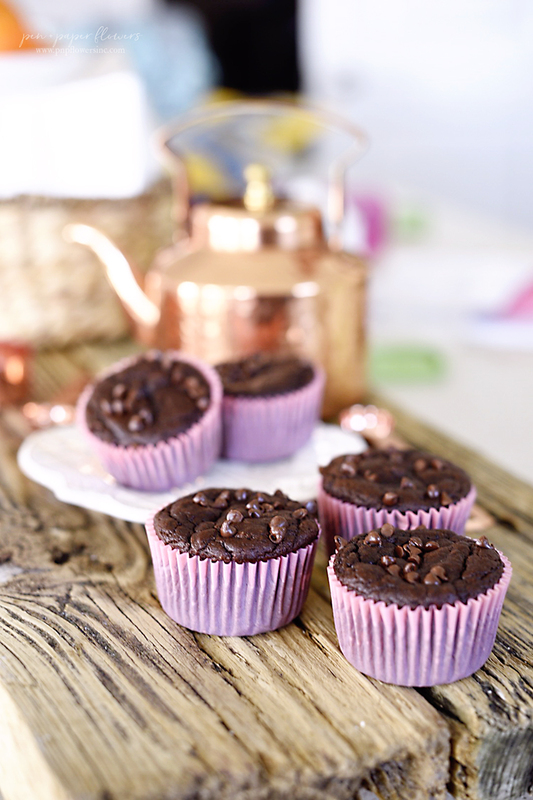 I have been meaning to post these delicious muffins ever since discovering the recipe some time ago. I was in the middle of reading this book and it led me to this blog which ultimately led me to this recipe. 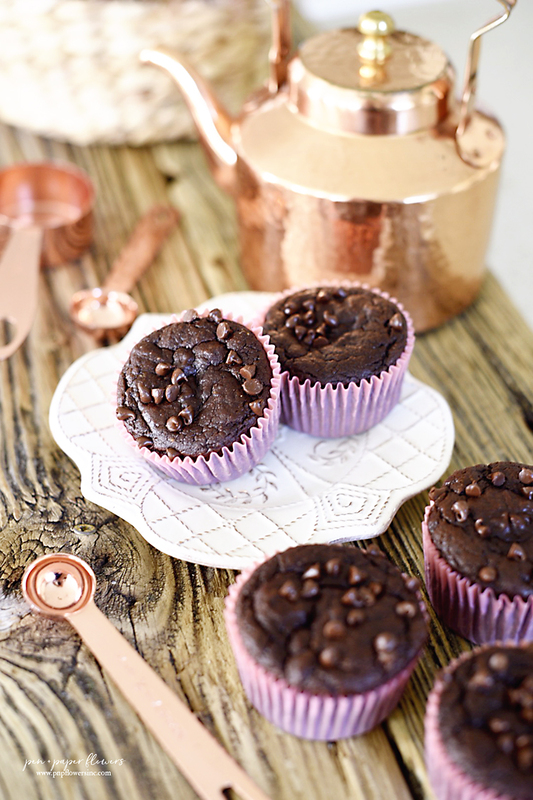 I was over-the-moon to receive a big thumbs-up from Ella when she sampled them and knew without a doubt these "healthy muffins" were a win after she continued to request them. 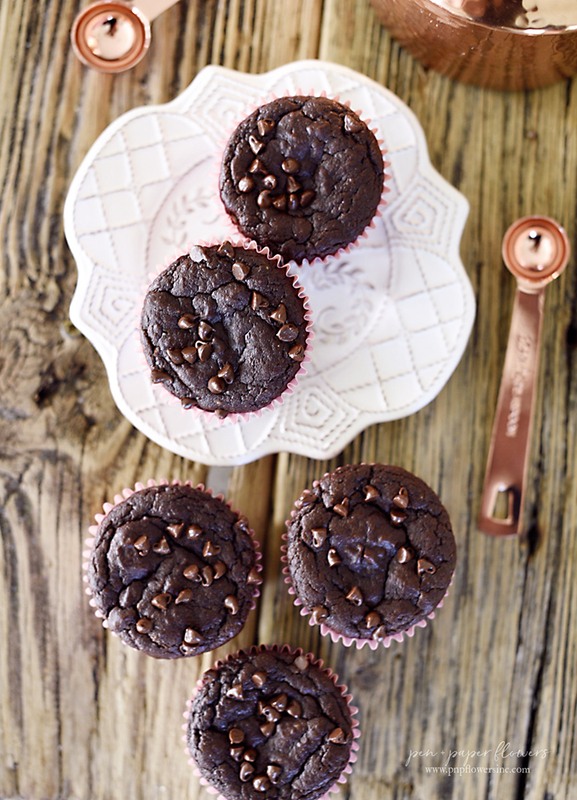 These muffins are a home run on so many levels!! They are packed with protein and lots of good stuff making them perfect for breakfast, for snacks or to throw in a lunchbox or backpack. 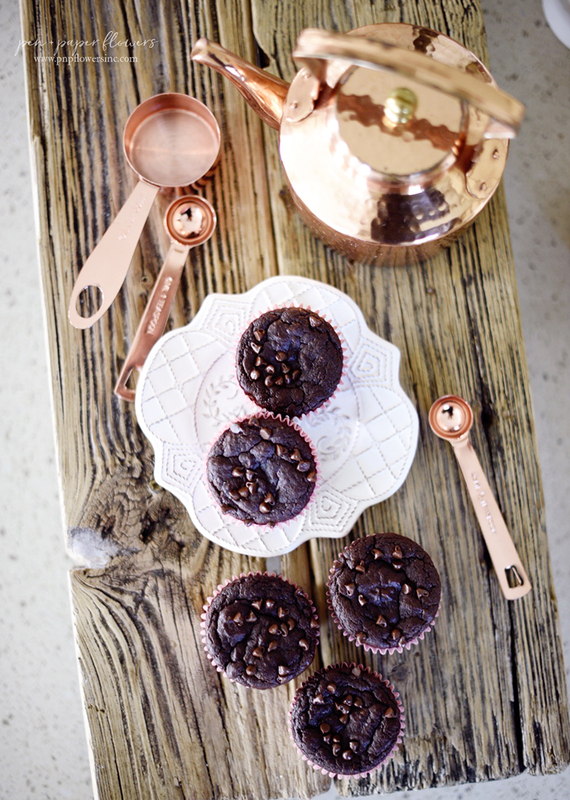 Plus...they are super easy to make since all you need is a blender and a muffin pan - which then makes clean-up a snap! Now...I do have to point out the original recipe doesn't call for the addition of mini chocolate chips...but that's how we do them around my house. And if you don't want the chocolate chips but like some "chunk" to your muffins...I've also topped mine with pecans or walnuts prior to baking. Easy. I hope you try them out and come back to let me know how much you love them! 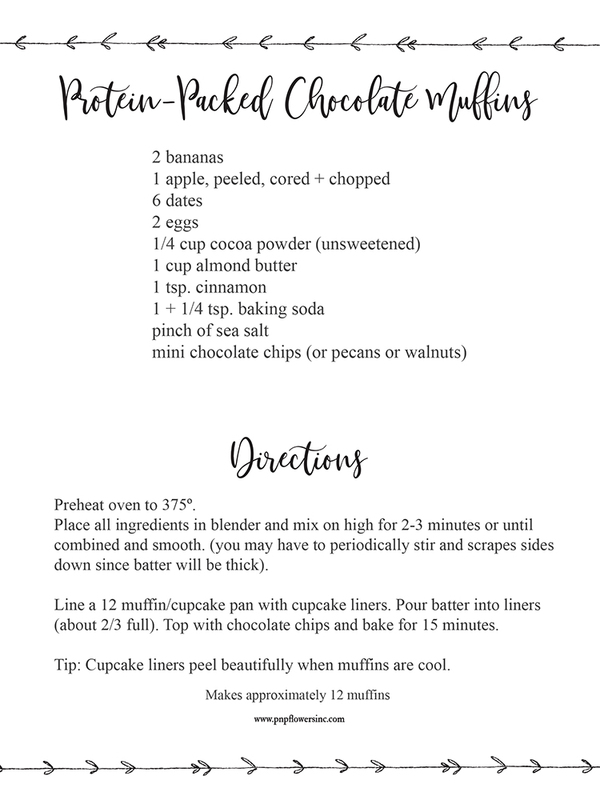 DOWNLOAD your cute printable recipe card right here!! PS - Catch a glimpse of me making these over on my Instastories!! Truth be told...Ella doesn't even like almond butter and these puppies are packed with it!! Ha!! Now....off to clean the bathrooms before we have guests arrive this weekend! !